Back in the 90’s, community gardens faced dire threats by the Giuliani administration. During those years, gardeners and their allies held rallies, workshops, marches and other preservation campaigns to save these neighborhood treasures, none more heroic than the work of the Trust of Public Land, who tirelessly advocated for gardens citywide. Guided by TPL’s leadership, gardener led land trust efforts have been working citywide. The Bronx, Manhattan and Brooklyn/Queens Land Trust organizations are proud examples of those efforts. The five gardens working together to form the BANG Land Trust feel it’s important to keep the ownership and management of our gardens local, lean and transparent and we look forward to working with our fellow land trust organizations and all groups who nurture community gardens. 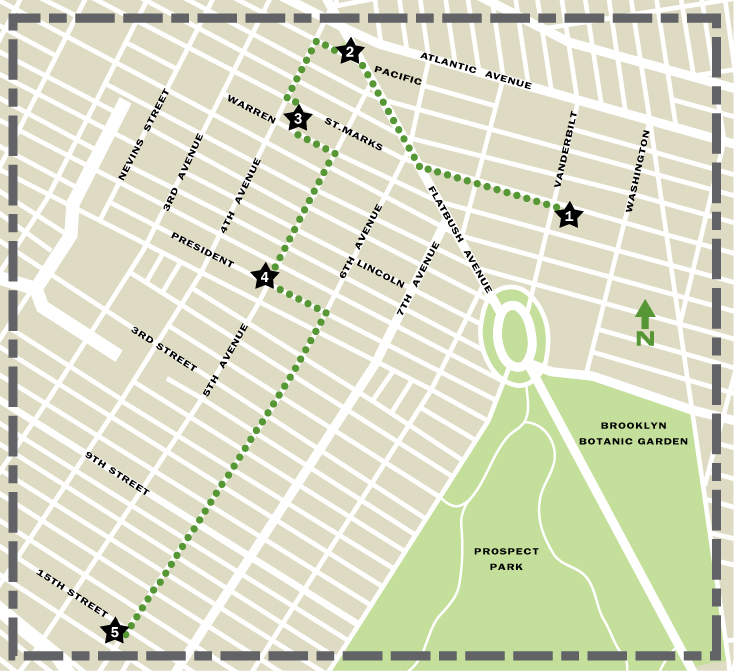 At our beginnings, BANG Land Trust will serve the five gardens in the Park Slope and Prospect Heights neighborhoods of Brooklyn indicated on the map you see above. Everyone is welcome to visit these gardens, meet their gardeners and marvel at the good work they do. We hope you’ll visit this site through the years to see what we’re doing, how we’re doing it, and share your comments along the way. This entry was posted in Uncategorized by bang11215. Bookmark the permalink.